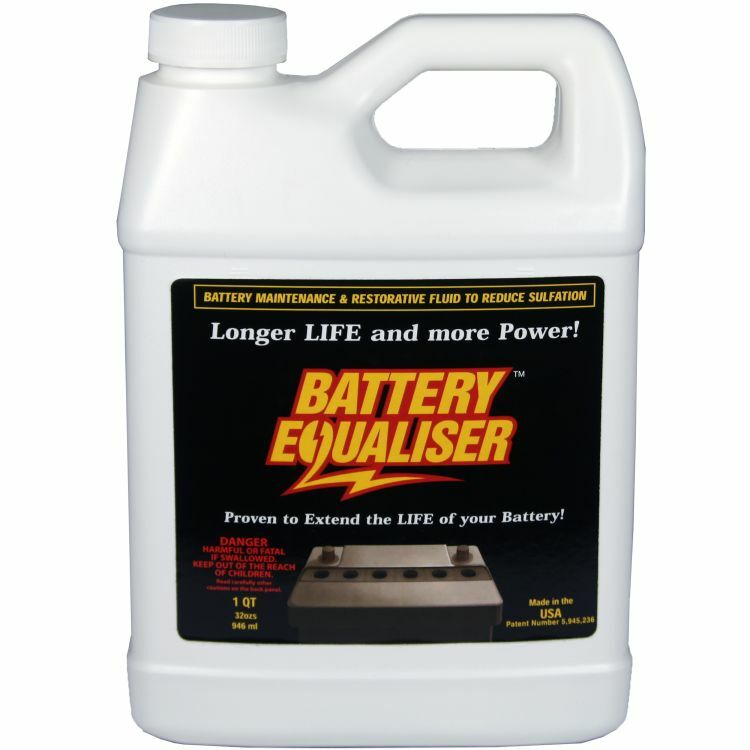 Battery Equaliser | 32 oz bottle of liquid solution for battery rejuvenation. Lead acid batteries have changed very little in 70 years. From the initial application of the electrolyte, sulfation begins coating the lead plates causing internal resistance. Aging batteries lose overall performance and require increased maintenance (more water) and charging time. Sulfation will eventually choke out any electrical activity. Stored and inactive batteries accelerate the problem of sulfation, leading to REDUCED BATTERY LIFE. To use in: Cars, Trucks, Boats, RVs, and Forklifts. Rated 4.75/5 Stars from 4 customer reviews. Do you own the BE32OZ? Please, tell us what you think about it. It helps us provide you with better products. Please note that it may take up to 72 hours for your review to appear. used in deep cycle batteries for my boat. Pros: Easy to use, Just poor it in. Cons: Had to find something to measure it with, Shot glass seemed to work fine. So far it seems to be working great, Saved me several hundred dollars on batteries for awhile, We will see how long it last. Bought this about 5 years ago and added to my older batteries. Use the utility cart year round even in -35 deg. Batteries are now 10 years old and still holding a good charge. Buying again for my gator.